Visual Analysis of Botticelli's "Madonna of the Magnificat"
“Madonna of the Magnficat” was created by Alessandro Botticelli in 1480-1481. The painting depicts the Holy Mother, Mary, holding Jesus as a baby while writing in a book, as two men, possibly angelic figures, hold a crown above her head. Mary looks upon Jesus, and the world, somberly, knowing his destiny to come. The tone of this piece of religious artwork, I think, is attributable to the period of time and location in which it was created. Sandro Botticelli was a renowned artist during the early Renaissance period in Florence, Italy. Avid Catholicism was largely emphasized during the time of the Renaissance, especially the earlier period; it is also factual that a large majority of Italians practice Catholicism. The amount of religious provocation, and the type of ambience portrayed by the Church, in Botticelli’s time helps provide understanding to the true symbolism of the painting. Around the same time of the creation of the “Madonna of the Magnificat”, Sandro was summoned by Pope Sixtus IV to assist in the creation of artwork used to decorate the Sistine Chapel. 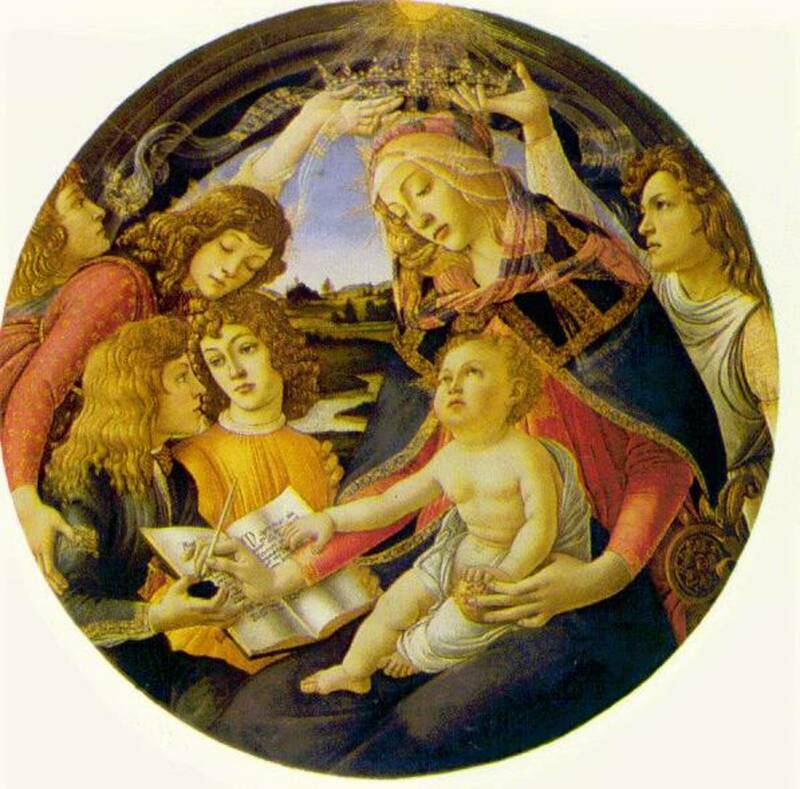 This fact also helps to provide clues as to the true meaning of the painting in that, at that certain time, he was influenced by the Pope, who may have pushed his own ideas onto Sandro, to create a certain type of religious art.“Madonna of the Magnficat” was created by Alessandro Botticelli in 1480-1481. The painting depicts the Holy Mother, Mary, holding Jesus as a baby while writing in a book, as two men, possibly angelic figures, hold a crown above her head. Mary looks upon Jesus, and the world, somberly, knowing his destiny to come. The tone of this piece of religious artwork, I think, is attributable to the period of time and location in which it was created. Sandro Botticelli was a renowned artist during the early Renaissance period in Florence, Italy. Avid Catholicism was largely emphasized during the time of the Renaissance, especially the earlier period; it is also factual that a large majority of Italians practice Catholicism. 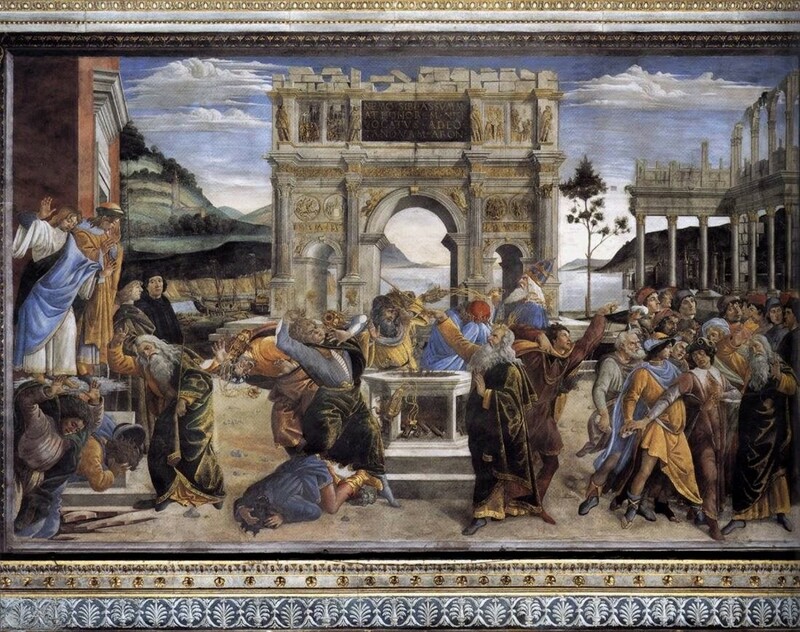 The amount of religious provocation, and the type of ambience portrayed by the Church, in Botticelli’s time helps provide understanding to the true symbolism of the painting. Around the same time of the creation of the “Madonna of the Magnificat”, Sandro was summoned by Pope Sixtus IV to assist in the creation of artwork used to decorate the Sistine Chapel. This fact also helps to provide clues as to the true meaning of the painting in that, at that certain time, he was influenced by the Pope, who may have pushed his own ideas onto Sandro, to create a certain type of religious art. Italy is said to have been the ‘heart and soul’ of the early stages of the Renaissance. This was believed to be due to St. Francis the Assisi’s promotions of finding more individualistic ways to connect with and praise God. Although the promotion of individualism was an important factor in early Italy, many non-Christians were persecuted and often burned at the stake. These facts further prove the theory of a heavy Catholic presence throughout Botticelli’s life. 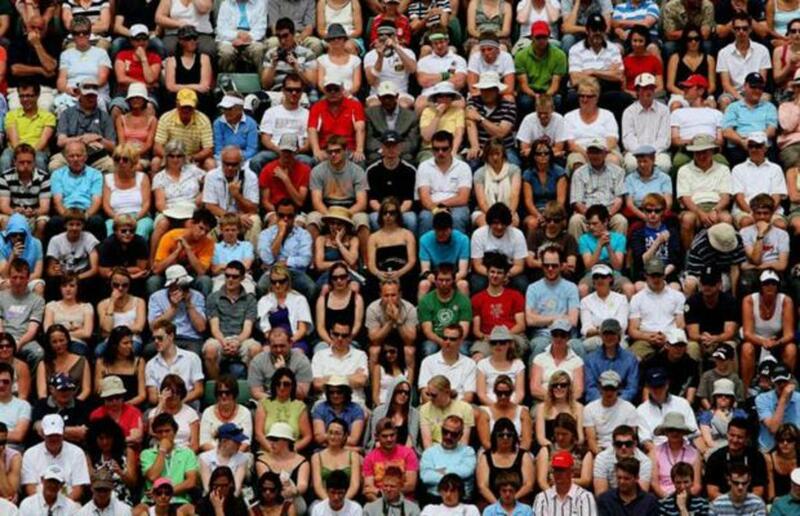 During these times, the Roman Catholic Church was seemingly piteous, promoting people to be more sorrowful and aware of biblical events on a personal level. As mentioned before, Alesandro Botticelli was such a renowned painter of his time that he was called upon by the Pope to collaborate with other artists in order to paint religious for the embellishment of the Sistine Chapel. 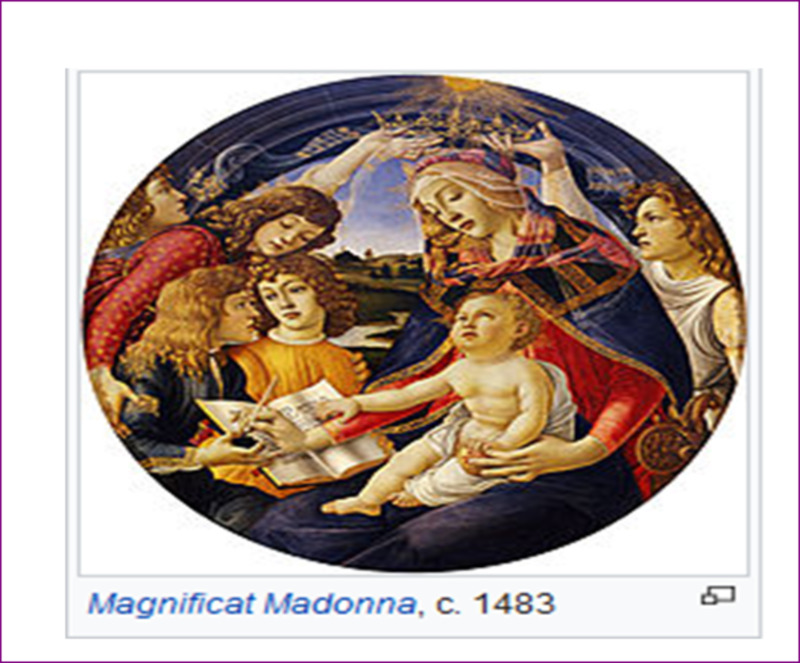 This happened in 1481, around the time Botticelli is rumored to have been in the process of painting “Madonna of the Magnificat”. Whether or not his participation in decorating the Chapel and being in close presence of the Pope had any influence over the painting, we will never really know, although there is one party of people who have an obvious presence in his work. The Medici family ruled what is now known as Italy, from the early 1400’s until the later 1700’s. 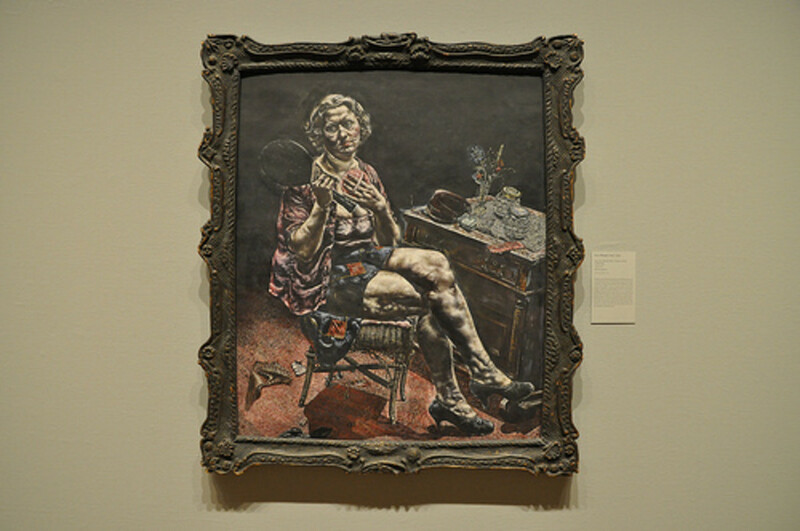 The family was known to have a great appreciation for the fine arts, having their own art studio in their palace where several artists lived and worked for them. Filippo Lippi was one of the Medici’s artists and took to Botticelli, making him his apprentice. Inside the gates of the Medici mansions, Botticelli was exposed to culture far beyond the ordinary persons’ reach at the time. 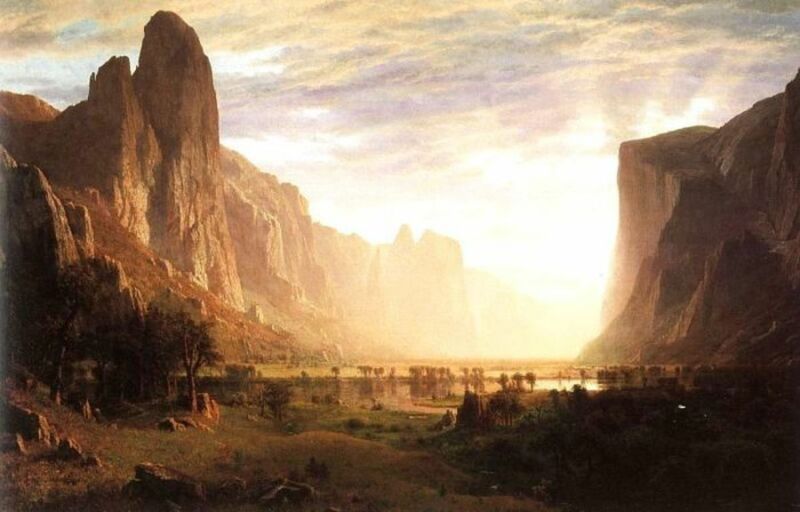 He was inspired by the philosophical ideas spoken of by the Medici brothers and their friends, and with their backing, began upon a new genre of religious artwork. Instead of depicting factual biblical events, he tied into these events mythical Gods and Goddesses, symbolic imagery, emotions stemming from imagination rather than societal norms, and even a few of the Medici clan are depicted in several of his pieces. In the painting, “Madonna of the Magnificat”, the Mother Mary is depicted as a somber yet strong figure; her facial expression seems that she knows the sanctity and importance of her role, yet she feels the burden of the world, the sacrifice of her only son, and duties that come with it all. Above her is the sun, under which a large, seemingly celestial, crown is held above her head by two angelic figures. In her hand is a pen, where she is presumably beginning to write the “Magnificat”, also known as the “Canticle of Mary”. Mary is dressed in fine robes of red and blue, said to symbolic of her emotions: love and sadness. Jesus is depicted as an infant in Mary’s arms, whose eyes are locked in a mutual, loving gaze with his mother. In Mary’s hand, also held by baby Jesus’s left hand, is a halved pomegranate, symbolic of the suffering and resurrection of Jesus’ later life. Jesus’s right hand is laid upon the book that Mary is writing in, as if to symbolize that he is, in a way, overseeing its creation; assuring that it is a sacred verse of the Bible that is recognized and respected by Jesus. Jesus, like those who hold Mary’s crown, is dressed in white, having an infant like throw covering his genitalia to compliment the modest tone of the piece. Jesus and those who hold the crown being dressed in white suggests that they are the ‘heavenly’ beings of the picture, or rather those that aren’t human but angelic. To the right side of Mary, Jesus, and one of the crown-bearing angels, are four more individuals, one of which being the other of the pair of angels. One person, who seems to be a servant or maid, is holding the book up for Mary to write onto. He is dressed in blue, further suggesting that he may have a sad or oppressed life. To his right, and to the right side of Mary as well, is a man wearing orange. Orange was the color the Medici family was/is famous for and throughout many of Botticelli’s paintings Medici family members are drawn in orange clothing among the painting. It is to be assumed that this person, dressed in orange at the side of Mary, is a member of the Medici family viewing and being a part of this holy event, showing their families’ self-proclaimed significance and ‘higher enlightenment’. Appearing to hug or cradle the Medici man and the servant is another person, who seems to be the only female other than Mary, in the picture. She is dressed in a fine red dress that clearly defines a skirting line, similar to those worn by women/girls in that time. As previously mentioned, red clothing is symbolic of the emotion, love, in this painting. Her clearly shown compassion, by hugging those who weren’t directly connected to the divine, in the piece furthers the symbolic idea of her feelings of strong love. The fact that the painting is round is symbolic in itself. Circles often represent the cycle of life, death, and the afterlife, and in this particular piece could be related to the life cycle of Jesus, and also to humans according to the Bible. No one person could correctly and completely, interpret Botticelli’s “Madonna of the Magnificat”, as aforementioned, Botticelli’s environment is not completely clear to us and we can never know his personal feelings, jokes, biases. 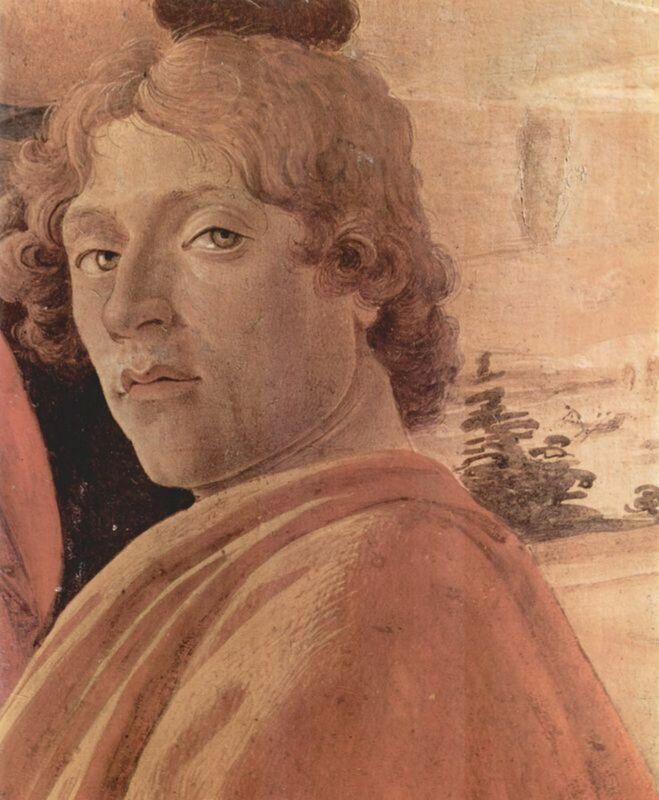 Although, we the information we do know of Alessandro di Mariano, (Botticelli also being known as “little barrel”; a nickname he adapted in adolescence), and his lifetime’s history, helps us to use our sociologic imagination to begin to comprehend him, which is the first step to comprehending the true meaning of his paintings. 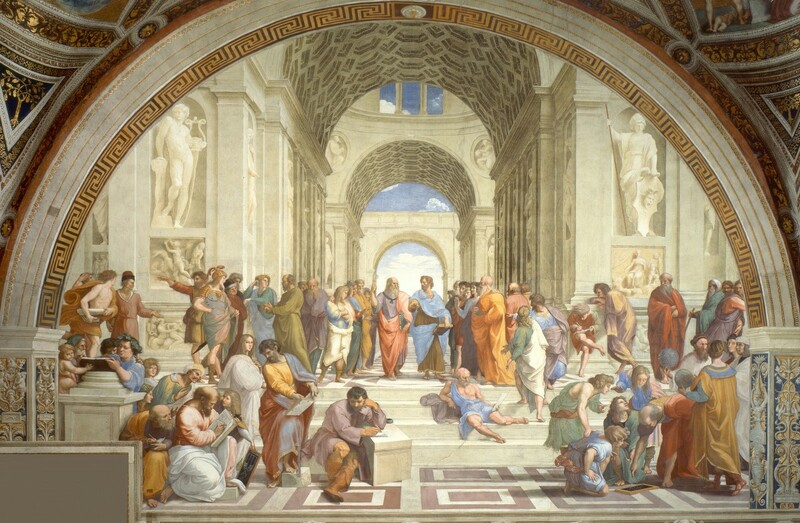 However, we do factually know that if it weren’t for the influence of the early Italian culture, the Catholic Church, the Medici family, and probably Filippo Lippi, Sandro Botticelli would not have produced the same artwork that we now appreciate and ponder upon today. 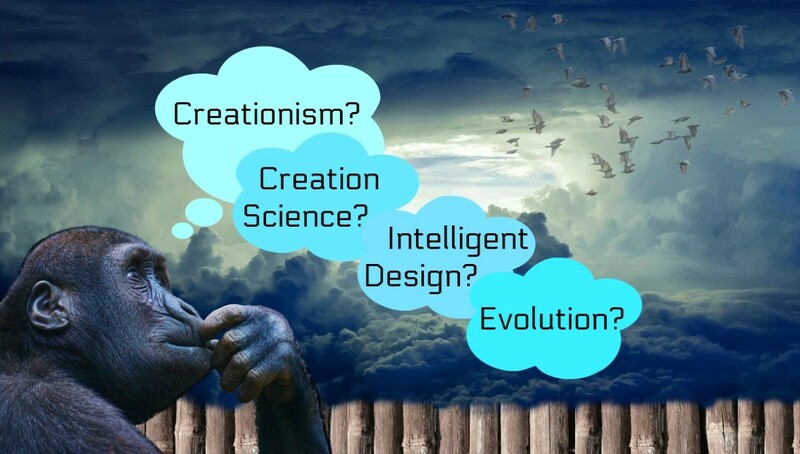 What Are the Differences Between Evolution and Creationism, Creation Science, and Intelligent Design? 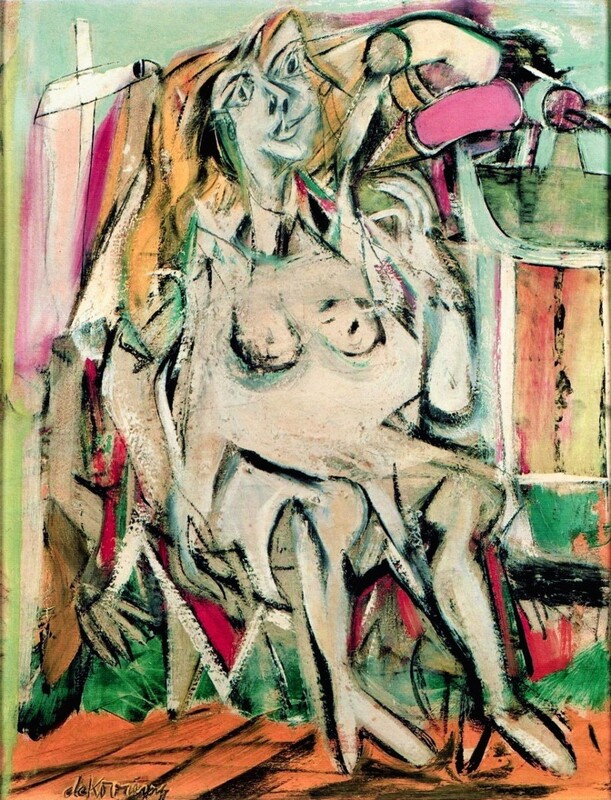 What Should I Know about Artist Willem de Kooning?